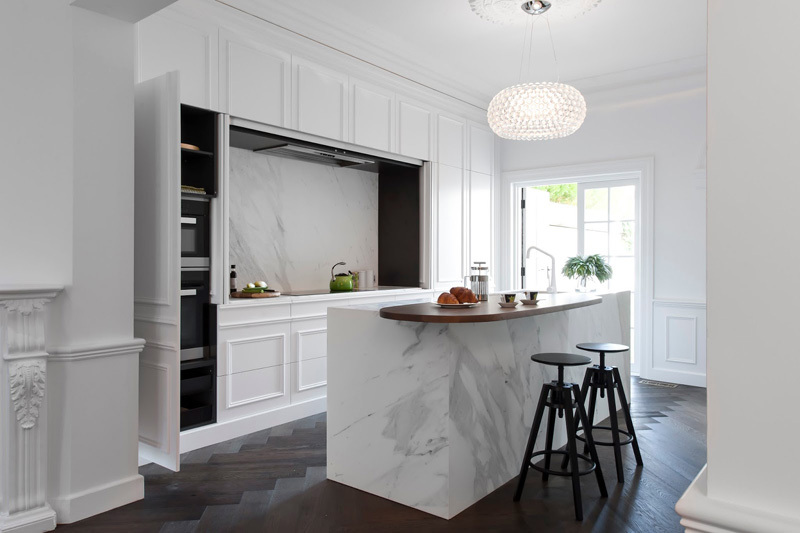 Minosa Design were hired to give a contemporary update to an early 1900’s Victorian terrace in Sydney, Australia, for a young professional couple and their teenage daughter. 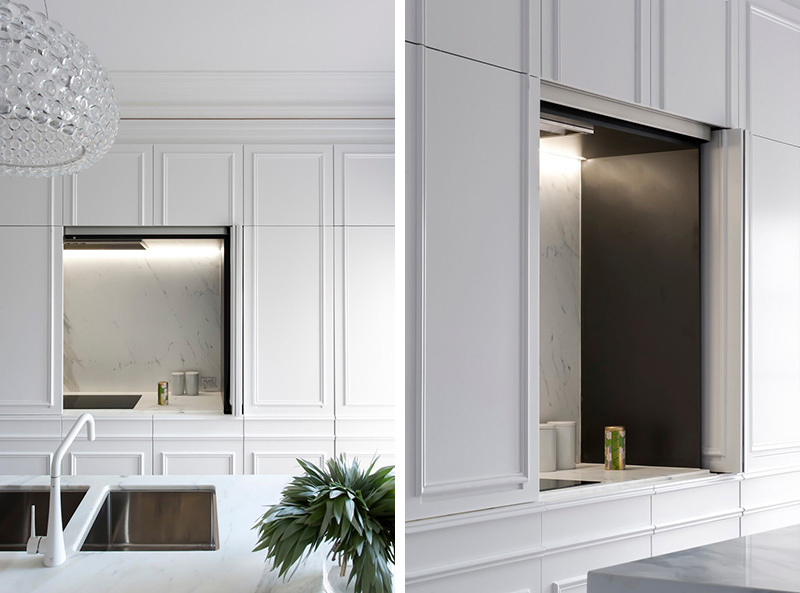 The client’s wanted to create a Parisian feel, but as they aren’t huge fans of cooking, their main wish was to have a kitchen that was light, bright, and seamlessly blended into its surroundings, with all appliances hidden. 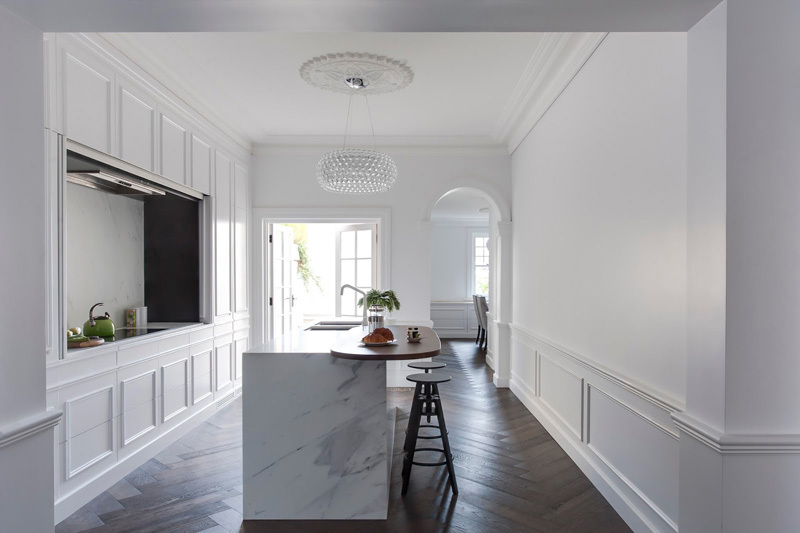 Influenced by French design, the designers used Parisian styled wall panelling, painted brilliant white, Calcutta marble for the counters, a French Oak servery top, and a contemporary take on a traditional herringbone timber floor. 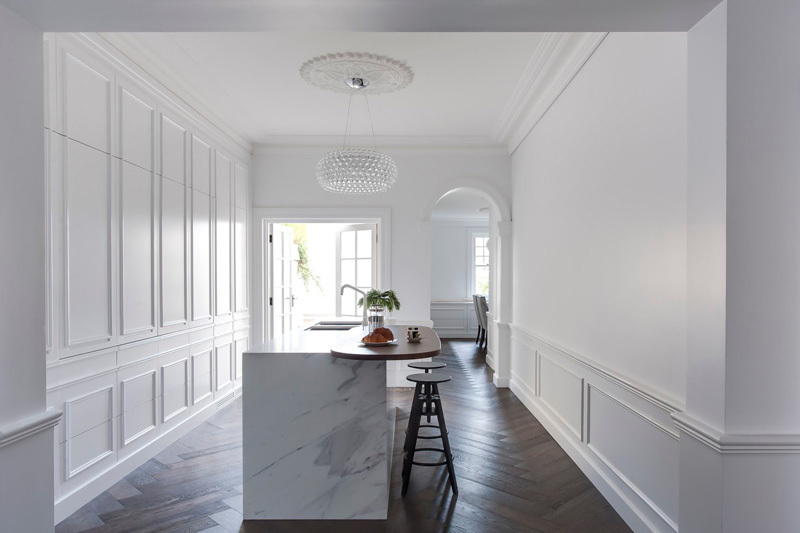 To create the herringbone floor, the designers used longer sections of timber, and a dark chocolate stain with matte polyurethane coating finished the boards. 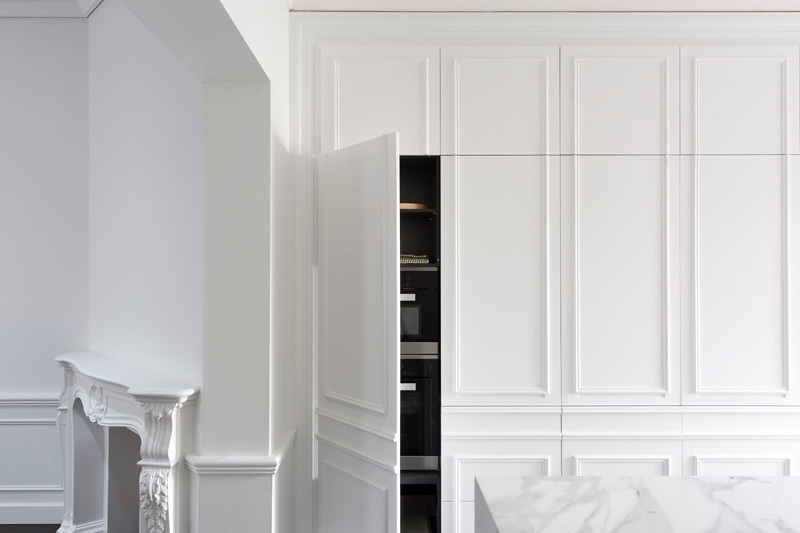 Here you can see how the designers were able to conceal the cooktop by hiding it behind panelled pocket doors that were designed to match the wall panelling. Integrated LED lighting is activated when the doors are open, so there is no need for a switch, and push-to-open drawers have been used to eliminate the need for handles. With all of the appliances hidden within the cabinets, the designers had to take into account the need for adequate ventilation. They did this by including rear-voids, shortened depth of cabinets for airflow, and snap vents were used for air intake for the refrigerators.